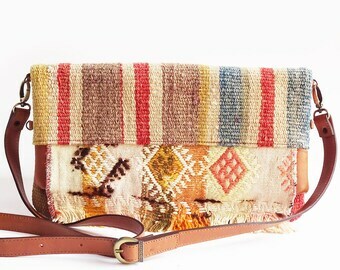 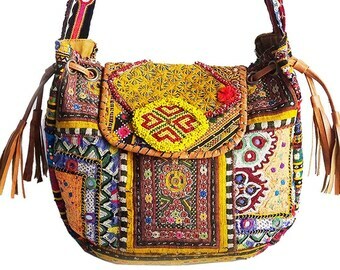 This one-of-a-kind extraordinary Banjara Leghari shoulder bag was handcrafted by artisans in the northern Indian state Rajasthan. 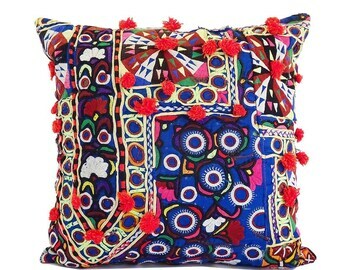 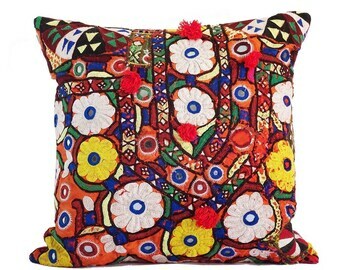 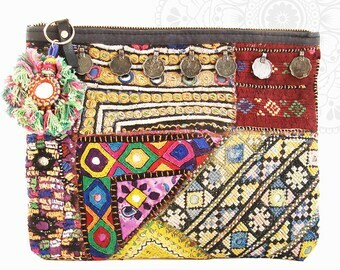 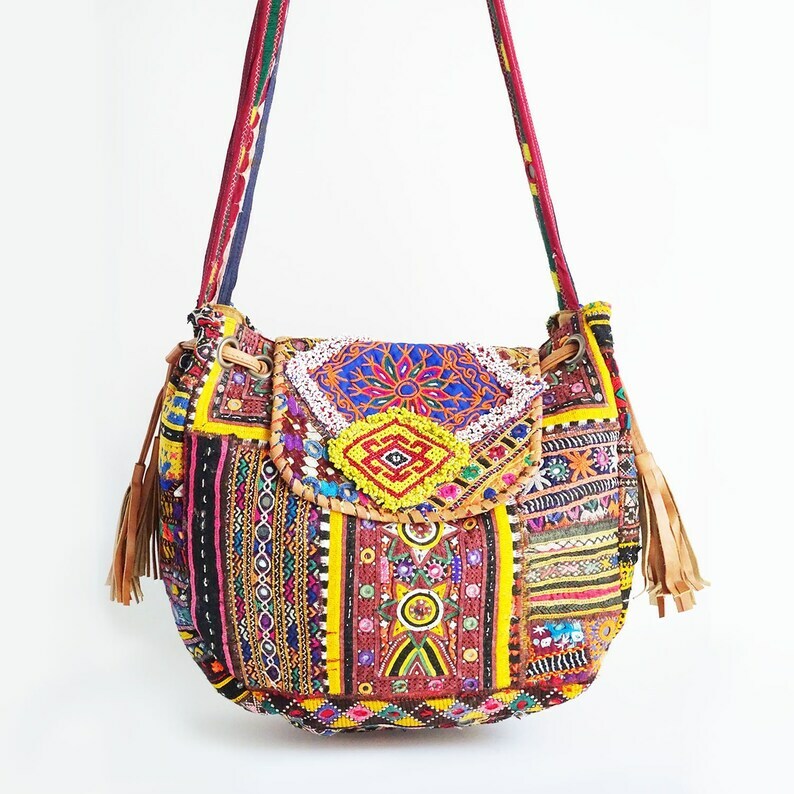 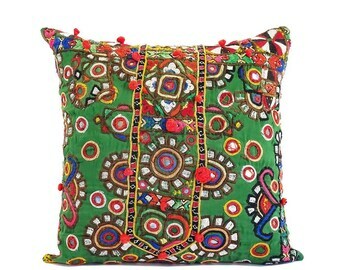 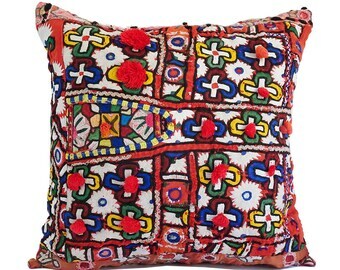 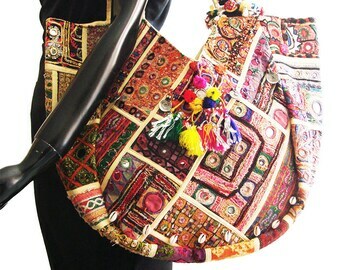 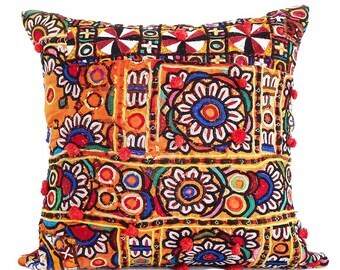 Made in the traditional style of the Leghari Banjara people, this bag features intricate and colorful embroidery, beading, as well as mirror and coin work. 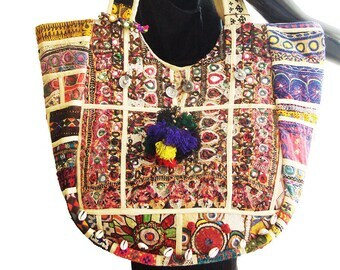 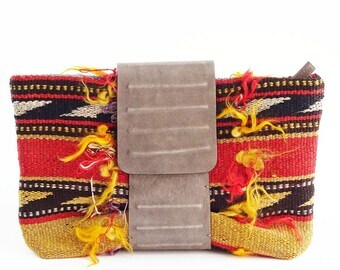 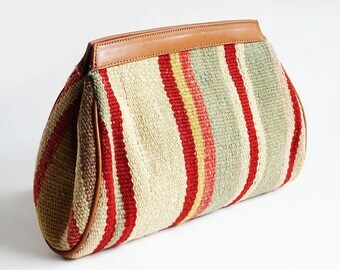 Each bag is made with great pride, and is an expression of the individual artisan's creativity and skill. 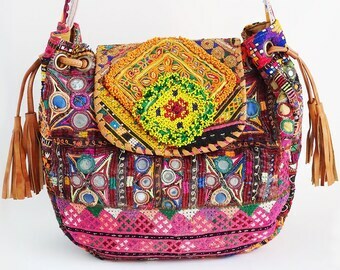 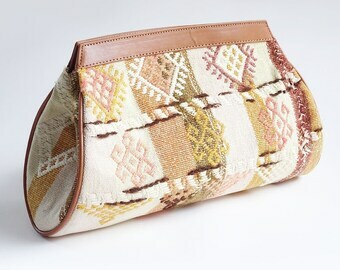 The bag itself was recently made, but is adorned with vintage hand-embroidered textiles that reflect the charm, character and natural beauty of traditional Banjara handicraft. 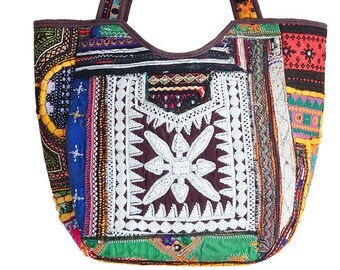 Approximate Dimensions: 18" X 15" X 5", Shoulder Drop: 21"